While working on a project, I imported an AxModel (D365) that caused me to have the following error when I tried to build the models. This has to do with a non-existing reference in the new module descriptor file. In my case, in order to solve the problem I went to the AOS Service / PackageLocalDirectory/Application Suite and opened the descriptor file. I opened the file and searched for the "retail" keyword and deleted the line from the file and saved it. After deleting the line, I refreshed the models. After that, I build the application again and I was able to keep working on my build. Thanks folks, I hope this helps. If you want to work with an existing environment choose the CDS environment you want to work with. 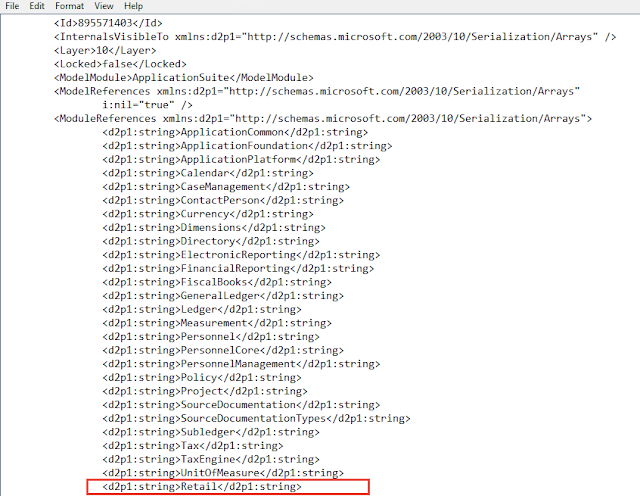 NOTE that Microsoft does not recommend using the default environment. 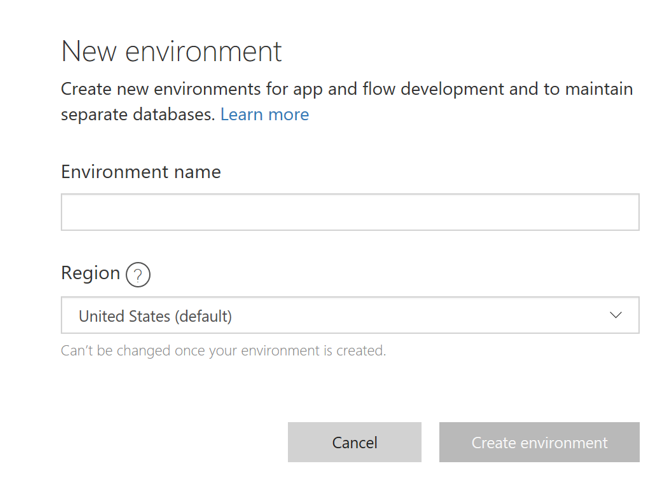 If you need to create a new environment, go to Steps – Create a new CDS Environment. Click Common Data Service à Entities to see a list of entities in the chosen environment. Click on the chosen entity to view data, export data, or modify it. The Open in Excel option will download an Excel file. You can change data directly in the spreadsheet and publish it back to the CDS entity you are working with. 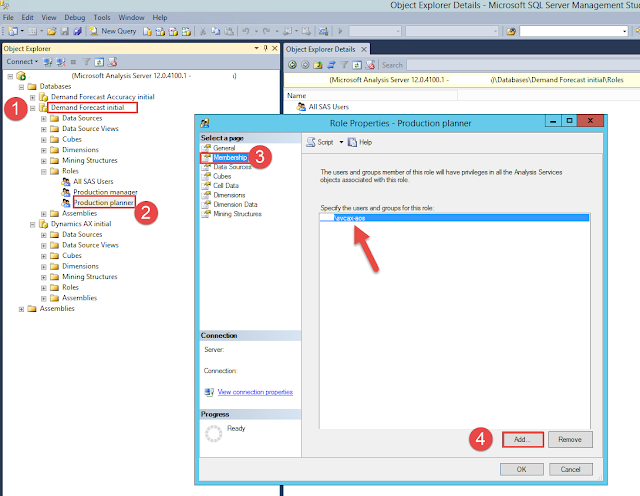 The Export Data option will download a CSV file along with XML documents. The Import Data option will give you the ability to import data via CSV. Just keep in mind that the column mapping must be the same as the one you can download. You can view the data directly in the CDS entity by clicking the Data tab. Once you have made changes to the chosen entity, you can choose to create or work with an existing project. Please see the Working with new Projects if you want to create a new one, or Working with existing Projects if you want to modify an existing project. You may choose to create new entities for the different customizations done to either Sales or Operations. To create a new entity follow Working with a new CDS Entity. From the below screen you will be able to (1) modify a task map, (2) Schedule project (Continuous auto-execution), and (3) look at the Execution History (This is where you will be able to see errors/warning if they happen). 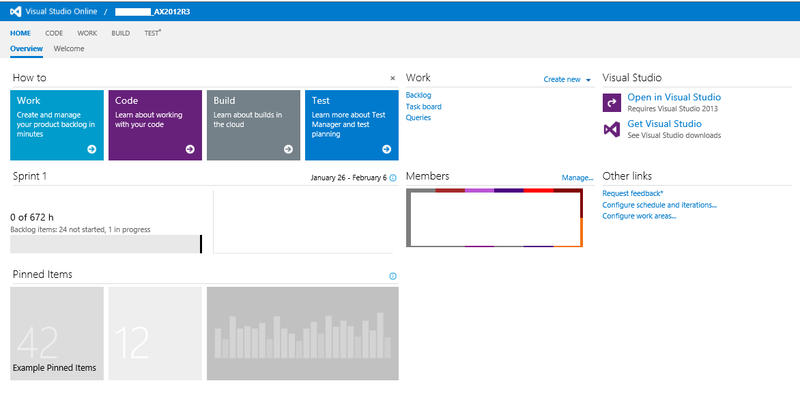 To modify a task map see Working with existing project/task mappings. To create a recurring schedule, click on Scheduling and click the Recur Every radio button. Choose a time frame, a start date, and end date if applicable. 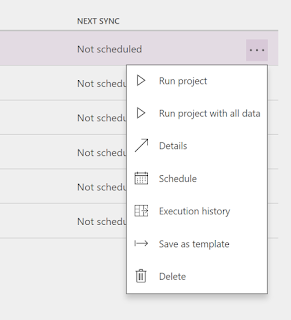 To run a project, you can do so from (1) the Scheduling tab, Execution History tab, or (3) from the project list (Click the … button and choose run project). 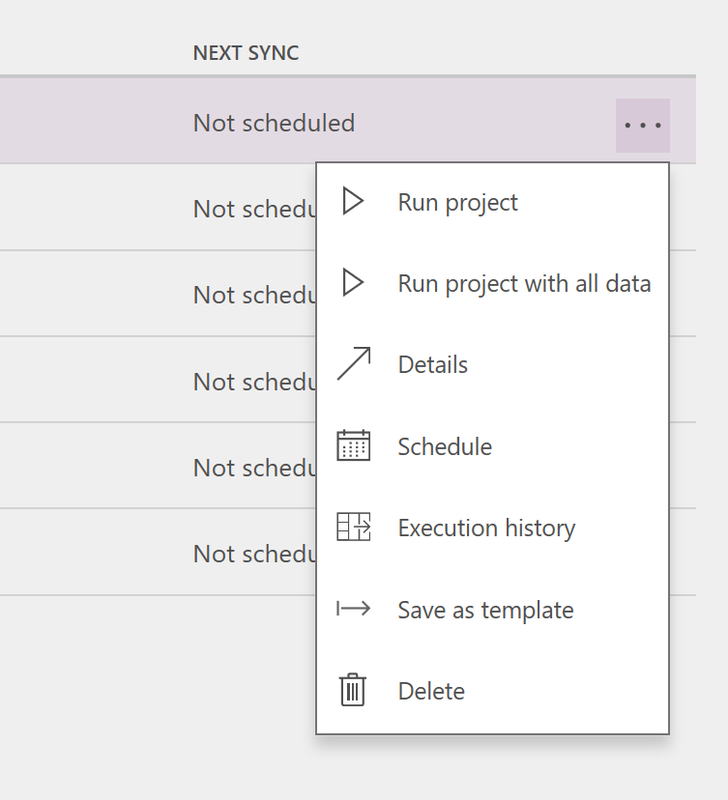 To examine a status (Complete/Error/Warning), go to the Execution history either by going into the Project and then clicking the Execution History tab, or by simply the … button and choosing Execution History. From there go to Admin Center, and choose Power Apps. 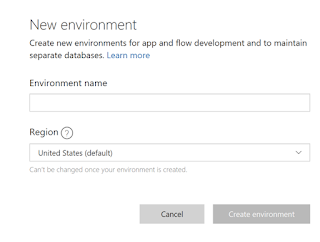 If you want to create a New CDS Environment click Environments à New Environment. The New Environment form will come up. Add an environment name and set the Region. Click Create environment. This process can take a while. Please note that the new CDS Environment process will create a new CDS Database for you and it is created with sample data. Also, keep in mind that the creation of a new environment uses defaults for the CDS Organization (ORG0001), and it will use the default CRM price list used in both the Products and Sales Order integration templates. Security will have to be setup for the new Database https://powerapps.microsoft.com/en-us/guided-learning/learning-common-data-service-security/. 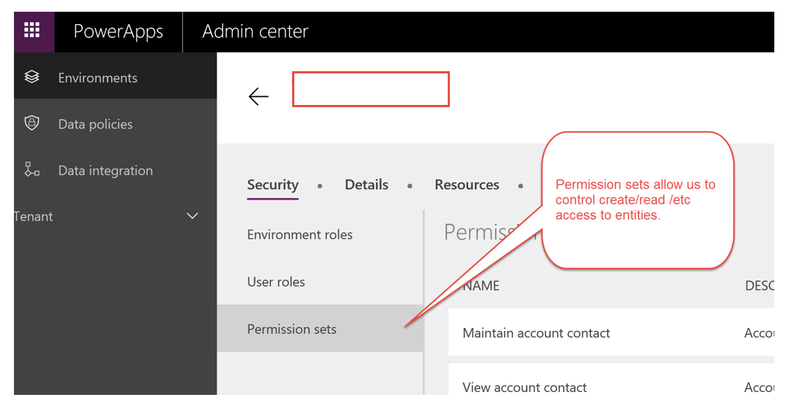 For this, click in to your new CDS environment, and click in the Security tab, and then set the Environment Roles, User Roles, and Permission Sets. The below Tribridge (default) environment is just a sample. Click in the project name to access its tasks, and then click on a task (i.e. SalesInvoiceHeader). There are two mapping sections. Source to CDS – i.e. Sales Orders Template, which will move data from D365 for Ops to CDS, and then from CDS to D365 for Sales. The transformations (see below for more info) are done at this stage. This means that if there is data to be transformed from D365 for Ops to D365 for Sales, it will be transformed at the time that is written into CDS, this is done to avoid having two transformations from CDS to Destination. CDS to Destination – The CDS contains the data already transformed and ready to be push to the target system without major data manipulation. Note that the data in CDS can be used to integrate with external systems. Default: Where the Source to CDS explicitly sets a default value to be always the same i.e. ORG001. Truncate: A fixed length i.e. Notes. Value Map: Transforms data from source to system. i.e. Unit of Measure for “Pieces” in D365 for Ops is “pcs”, and in D365 for Sales is “Piece”. Country Region Code: Related to a picklist in CDS for pre-defined mapping of countries. See about mappings and projects in posts stating with Common Data Service Project Setup. In order to create a new Project, you will need to create a new Connection Set (use to authenticate each environment - CDS, Operations, Sales or Customer Engagement). Please note that once you have created a new connection set with the chosen CDS environment, this can be used for other projects as well. Click Data Integration and then New Project. The New Data Integration Project wizards appears. At this point you will be able to provide a Project Name. Select a template. 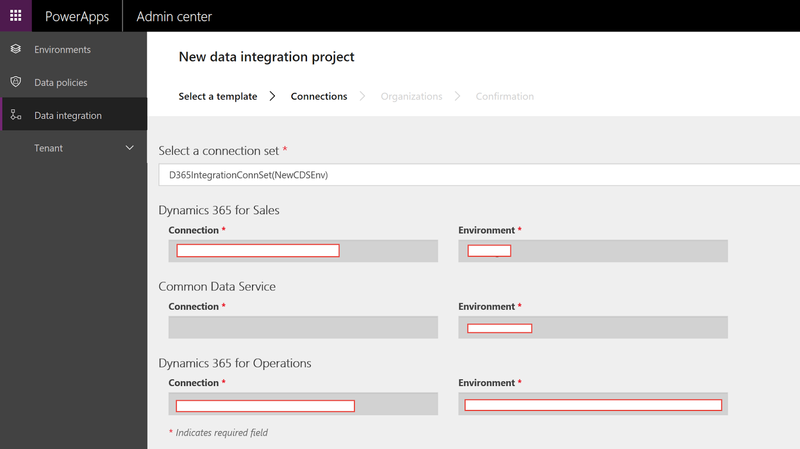 The available templates for Order to Cash are provided by Microsoft, and they provide the integration to move data between D365 for Operations and D365 for Sales, or vice versa. Or, an integration to only move data from the system of record to the CDS. For example, the templates Accounts (Sales to CDS), and Sales Quotes (Sales to CDS) are a good example of a system of record to CDS integration. NOTE: You don’t have to work with the out-of-the-box templates, you can create your own. Click Next, and then choose your connection set. Choose your Organizations. This data comes from connection set configuration. Finally confirm the project. Once confirmed, you will see your new project under the Projects tabs. To modify, run, schedule, and delete existing projects, please see Steps – Work with existing projects. Once the project is created, you will be able to work on the mappings. For example, you might want to add a new UOM in CRM to comply with the requirements of the Product CDS integration template. For this, you will have to modify existing mappings. 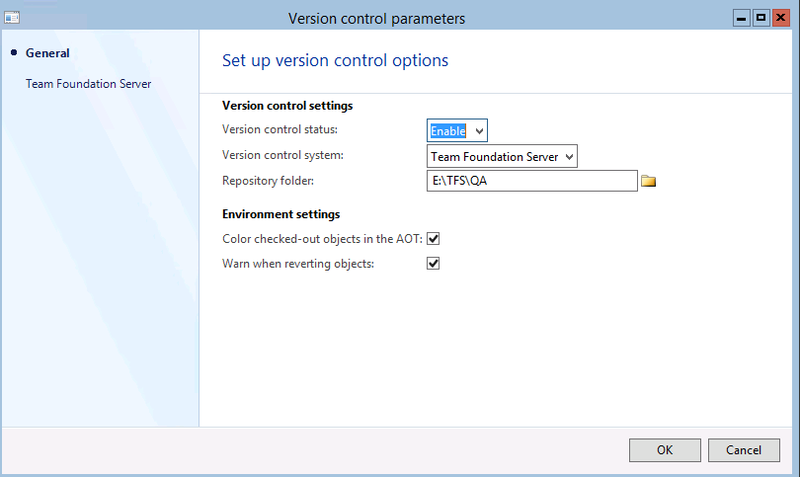 For more information see Steps – Working with existing project/task mappings. The forecast has not been generated. The Database with 'Name' = Demand Forecast initial Test' doesn't exist in the collection. "The forecast has not been generated. The Database with 'Name' = Demand Forecast initial Test' doesn't exist in the collection." "Add the AOS service account to the OLAP Database Roles." Great!, pretty straight forward, but which role and database? The following are the steps that will hopefully help someone save some time on this. 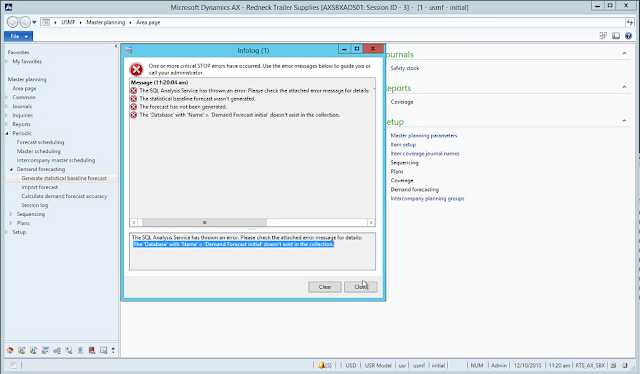 A user runs the Demand Forecast in AX and gets the following error message - The forecast has not been generated. The Database with 'Name' = Demand Forecast initial Test' doesn't exist in the collection. 1.Go to the Analysis Server and look for the Demand Forecast Initial Database and Expand the Roles node. 2.Right click in the Production Planner and go to properties. 3.Go to Membership and click Add. 4.Add the AOS AX Service account. I hope everyone is having a great weekend so far, and that you are ready for a great post about TFS Online and how to connect to it. 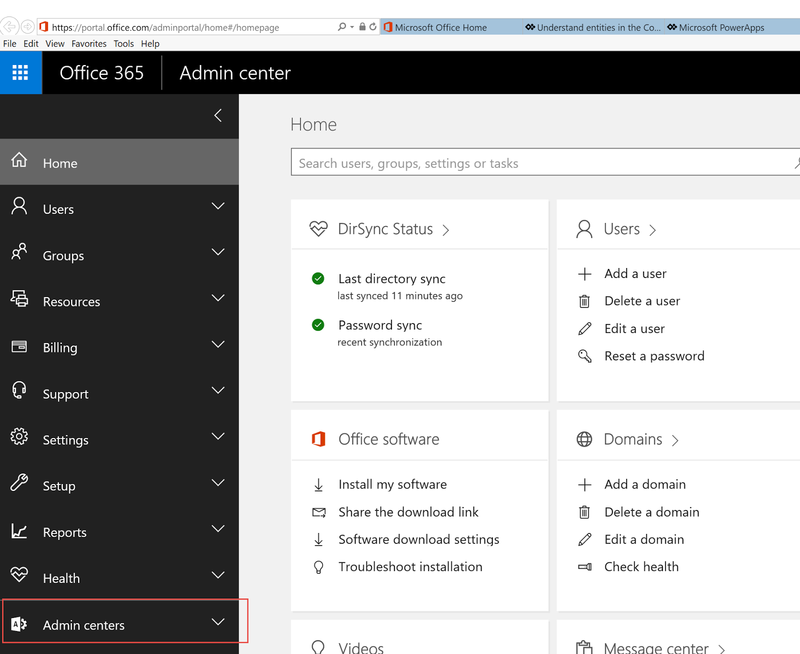 Before continuing with the step-by-step directions on how to connect to TFS Online, I wanted to share a few links that I think will of interest to you if you are looking to go with this option in your Microsoft Dynamics AX implementation. In addition, really soon I'll post my view on branching and what might work best for a big implementation. Also, I'll be posting information on how to use the Scrum template. This is creating features, backlog items, sprints, associating sprints with backlog items, and these with features, etc. 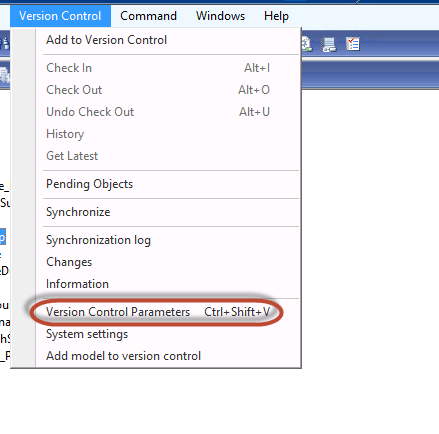 With the above out of the way, let's jump into creating a new visual studio online project, and connecting to an instance of AX2012R3. 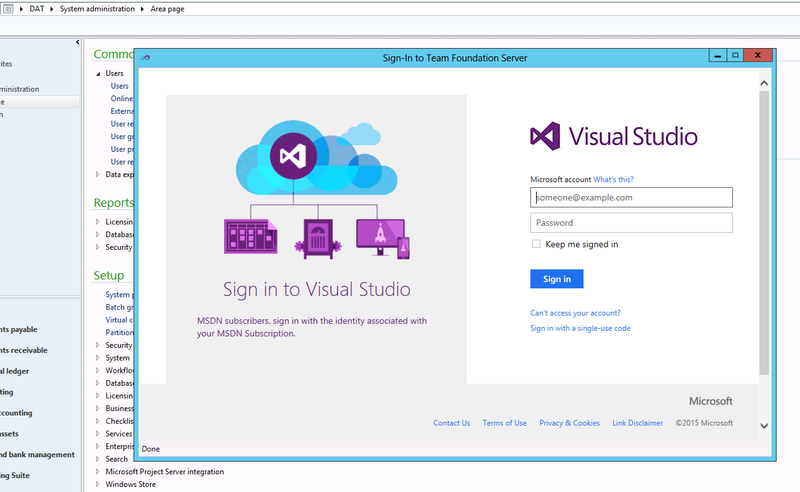 In the following steps I'm assuming you already have a Visual Studio Online account, and that you have your repository and branching implemented (although I will cover this topics very, very soon). Go to control panel, and click DefaultCollection. 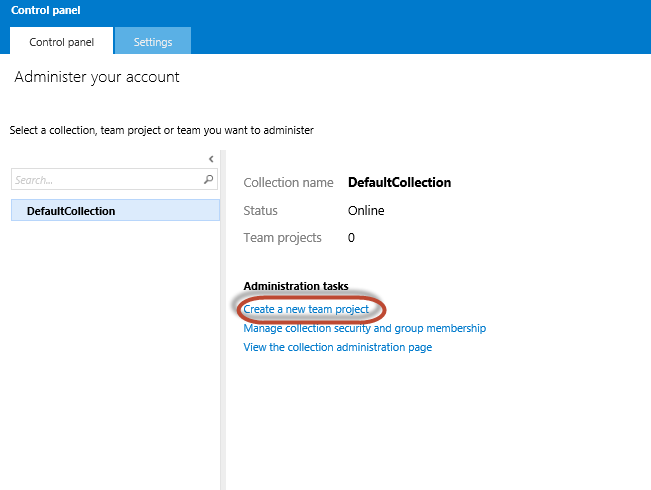 Once there go to administration tasks and choose the option create new team project as shown below. Give your project a name and choose a process template. In my case I chose an Scrum template. For more information on process templates go to this link. 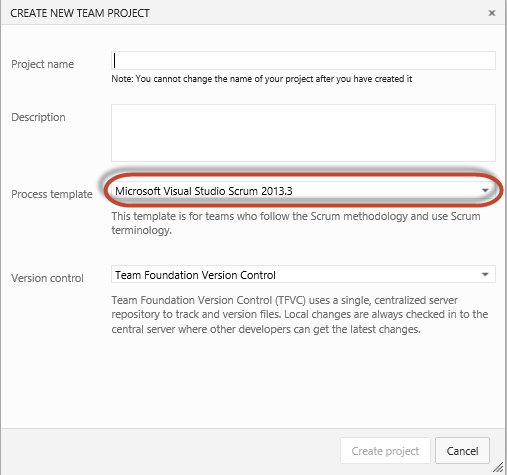 Once you create your new Visual Studio Online project, you should see the following. 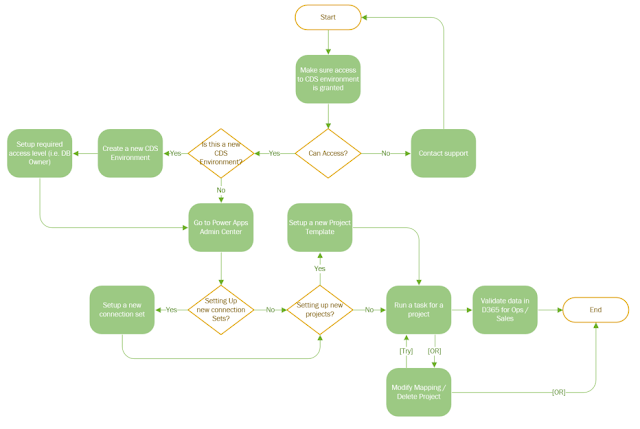 At this step is where you would have to create your branches, and local server (or workstations) repositories. The following is a quick guide to branching, simple but very effective, click this link to open it. 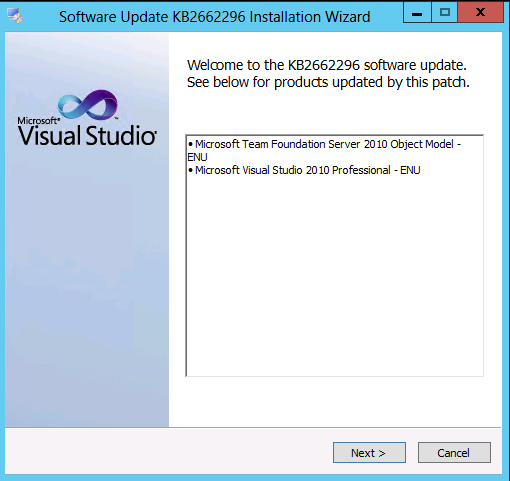 Once you have installed the above KB, restart your AOS and open AX2012R3 again. You'll see the following screen, which means that after signing in, you are ready to start enjoying the benefits of TFS online. This is all for now. 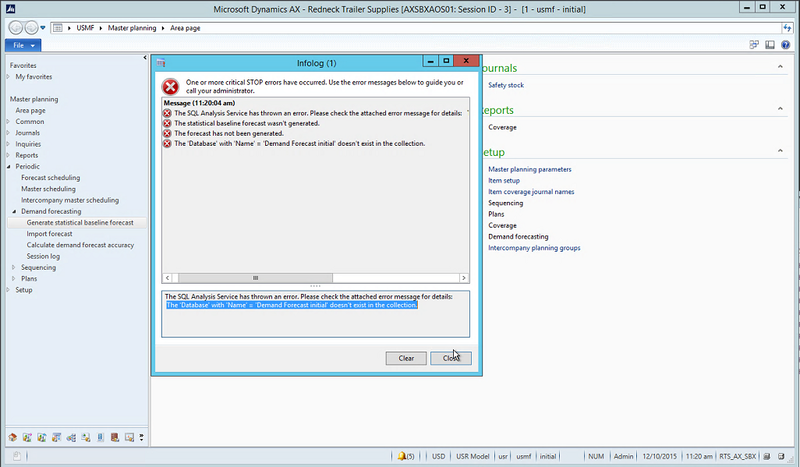 Remember to check my blog for updates on how to use (in my own way that is) the ALM features that TFS online offers.